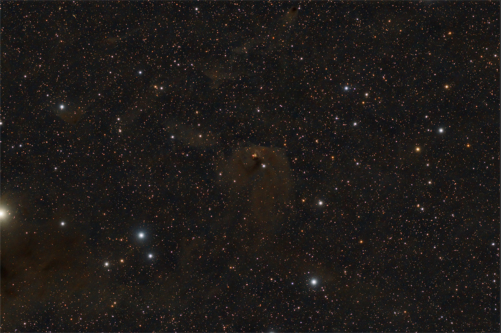 NGC 1555, also known as Hind's Variable Nebula, is a variable nebula, illuminated by the young star T Tauri, located in the constellation Taurus. It is a Herbig–Haro object. NGC 1555 is embedded in a dusty region of the sky, as can be seen clearly in the above image.